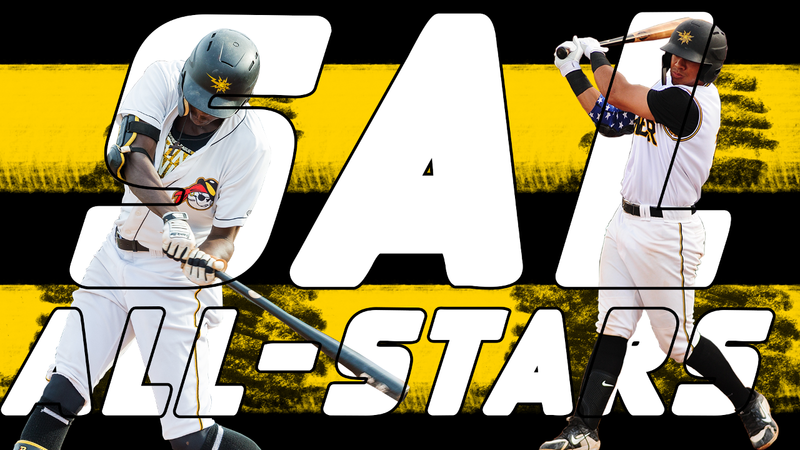 CHARLESTON, WV (August 28, 2018) - The West Virginia Power, in conjunction with the South Atlantic League and league President Eric Krupa, is proud to announce that Oneil Cruz and Calvin Mitchell have been selected as two of the league's Annual All-Stars for the 2018 season. Cruz was selected as the SAL's Most Outstanding Major League Prospect and top shortstop, while Mitchell was chosen as the designated hitter. The Annual All-Star Team was voted on by the 14 South Atlantic League Team's Field Managers, General Managers, Sports Writers and Broadcasters for a total of 56 votes. Cruz and Mitchell are West Virginia's first Year-End All-Stars since RHP Mitch Keller took home the league's Most Outstanding Pitcher Award in 2016. The last Power shortstop given the league's annual honor before Cruz was Jacoby Jones in 2014, while outfielder Gregory Polanco was the team's most recent Most Outstanding Major League Prospect in 2012. Cruz, who was acquired in a trade from the Los Angeles Dodgers last July along with RHP Angel German, has been devastating South Atlantic League pitching this season. The Dominican native leads the team in all three Triple Crown categories with a .286 average, 14 homers and 59 RBI, while also boasting an .831 OPS. Cruz's average is sixth-best in the South Atlantic League and the Pirates' organization, while his 59 RBI sit at fourth-best in Pittsburgh's system. The newly-converted shortstop had his best statistical month of the season in June, accumulating a .375 clip with three home runs and 19 RBI to earn himself SAL Player of the Month honors. His fielding has gotten significantly better as the season has gone along as well. After an 11-error April, Cruz has committed just 14 errors in the succeeding 81 games. Mitchell, the Pirates' second-round draft pick in 2017, started off the season hot, racking up a .364 average in April with three homers and 18 RBI that saw him claim Player of the Week honors from April 16-22 and put together a 13-game hitting streak from April 14-27 with a .452 stroke. The Calif. native earned South Atlantic League Mid-Season All-Star honors with Deon Stafford and is averaging .279 with nine homers and 57 RBI in 112 games. The Power continues their final regular season homestand against the Hagerstown Suns tonight at 7:05 p.m. For tickets and more information, call the Power at 304-344-BATS or visit wvpower.com.